In the Dunn Lab, we use the tools of developmental and translational epidemiology to identify strategies for reducing the burden of mental illness and promoting brain health throughout the lifespan. Our research seeks to understand the drivers of both mental illness and mental wellbeing across the lifespan. To date, much of our work has focused on the social and biological underpinnings of depression and anxiety among women, children, adolescents, and other vulnerable populations, including racial/ethnic minorities and people of low socioeconomic status. We study a range of biological factors and processes contributing to mental health—including the role of genetic variation and epigenetic mechanisms—as well as biological markers of future risk, such as markers captured in children’s primary or “baby” teeth. We also study multiple social factors, including the role of early life environmental exposures and stressors such as childhood adversity, on mental health across the life course. Our long-term goal is to translate discoveries about causal mechanisms underlying risk and resilience into population-based preventive strategies that not only reduce the onset of brain-related health problems, but also promote brain health. Recognizing that interdisciplinary approaches can lead to breakthrough discoveries, we routinely collaborate with scientists across several disciplines, spanning epidemiology, genetics, epigenetics, dentistry, anthropology, pediatrics, and developmental neuroscience. Our work has been supported by the National Institute of Mental Health, One Mind, the Brain & Behavior Research Foundation, the Russell Sage Foundation, and the Robert Wood Johnson Foundation. We are a multidisciplinary team of researchers from a range of fields, including epidemiology, public health, genetics, education, neurology, psychiatry, and psychology. Dr. Erin C. Dunn is a social and psychiatric epidemiologist with expertise in genetics and epigenetics. Her research laboratory uses interdisciplinary approaches to better understand the social and biological factors that influence the etiology of depression among women, children, and adolescents. The goal of her work is to identify the causal mechanisms underlying risk for depression, translate that knowledge to population-based strategies for prevention, and target those strategies to “sensitive periods” in development. Sensitive periods are high-risk/high-reward stages in the course of the lifespan when experience, whether exposure to adversity on the one hand or health-promoting interventions on the other, can have lasting impacts on brain health. Through her efforts to determine when these sensitive periods occur, her goal is to design interventions that not only promote brain health across the lifespan, but are also uniquely timed to minimize the consequences of stress exposure, prevent depression before it onsets, and make the most efficient use of limited public health dollars. Dr. Dunn is currently an Assistant Professor at the Massachusetts General Hospital (MGH) and Harvard Medical School and is affiliated with the Broad Institute of Harvard and MIT, the Center on the Developing Child at Harvard, and the Henry and Allison McCance Center for Brain Health at MGH. She has led several genetic association studies and gene-environment interaction studies that were the first of their kind, including publishing the first genome-wide environment interaction study of depression; this work was recognized by the Anxiety and Depression Association of America through the Donald F. Klein Early Career Investigator Award and the Brain & Behavior Research Foundation through the Gerald R. Klerman Award, Honorable Mention. She is a 2017 recipient of a National Institute of Mental Health-funded Biobehavioral Research Award for Innovative New Scientists (BRAINS). In 2018, she was awarded a Rising Star award from One Mind. Karmel Choi, Ph.D., is a postdoctoral fellow in the Psychiatric & Neurodevelopmental Genetics Unit at Massachusetts General Hospital (MGH) and a postdoctoral collaborator with the Dunn Lab. She is mentored by Drs. Jordan Smoller and Karestan Koenen through the T32 Training Fellowship in Psychiatric Genetics at the Harvard T.H. Chan School of Public Health. Her research focuses on the interplay of genetic and environmental factors that influence trauma and resilience across the life course, leveraging methods from statistical genetics, network science, and developmental epidemiology. Her clinical work focuses on treatment of mood and anxiety disorders and stress-related health conditions, particularly among women. Karmel completed her PhD in Clinical Psychology at Duke University and her predoctoral clinical internship in Behavioral Medicine at MGH. Becky Mountain, Ph.D., is a postdoctoral fellow in the Dunn Lab. She completed her Ph.D. in Anthropology at the University of Arizona in 2019 and received her B.A. in Anthropology and Archaeology from Boston University in 2010. Her research focuses on the impacts of stress on skeletal health and disease in past and present human populations. In the Dunn Lab, Becky will be working on a new project exploring the use of teeth as biomarkers of early life exposures to psychosocial stress and their potential relationship to later mental health outcomes. Jiaxuan (Jessie) Liu is a doctoral student in Population Health Science at Harvard T. H. Chan School of Public Health. She received her Master’s degree in Epidemiology from University of Michigan, Ann Arbor. Her research interests include genetic and epigenetic epidemiology of mental health, neuropsychiatric disorders, and social risk factors. In the Dunn Lab, her current work focuses on assessing the relationships between childhood socioeconomic disadvantage, DNA methylation, and socioeconomic wellbeing in adolescence. Kristen graduated from UC Berkeley in 2012 with a B.A. in Psychology and completed a M.P.H. in 2016 at the Harvard T.H. Chan School of Public Health in Social and Behavioral Science. She is currently pursuing a Ph.D. in Population Health Science at Harvard University. Her research examines the impact of early life adversity and trauma on mental and physical health outcomes, focusing on understanding the processes of psychological resilience. In the Dunn Lab, her work focuses on identifying sensitive periods to early adversity on psychological outcomes later in development or in adulthood. Meg graduated from the University of Pennsylvania in 2011 with a B.A. in the Biological Basis of Behavior, and received a M.Sc. in Epidemiology from Imperial College London in 2012. She is currently a doctoral student in Epidemiology at the Harvard T. H. Chan School of Public Health. Her prior work includes research on the genetics of nicotine addiction and social risk factors on workplace mental health, which prompted her interest in both genetic and environmental risk factors and how their interplay leads to psychopathology. Meg is now using data from the Nurses’ Health Study II to determine how childhood adversity and the developmental timing of the exposure moderates the impact of genetic risk variants on mental disorders. Khalil studied in France, where he received a Bachelor’s and Master's degree in applied mathematics and economics from ENSAE ParisTech, the Paris Institute of Technology. Before joining the Dunn Lab, Khalil interned at the World Bank Group in Washington D.C., where he worked as a data analyst. He then worked as a financial engineer at HSBC in Paris. As he gradually lost interest in finance, he started developing a passion for the application of statistics in health related issues. He decided to intern at the French Research Institute for the Exploitation of the Sea (IFREMER) to further explore this field. Khalil is now a graduate student in biostatistics at Brown University. In the Dunn Lab, he focuses on the genomic predictors of susceptibility to depression. His research interests include statistical genetics, environmental statistics, cancer genomics, and the application of machine learning algorithms. Outside of the lab, he enjoys all types of sports and traveling to warm places. Kristina is a Sophomore at Harvard College concentrating in History of Science with sub-field in Psychology. She is also pursuing a secondary in Spanish. Previously, she interned with The Global Bioethics Organization, where she studied and helped to educate the public on bioethics. Kristina is passionate about issues in children’s health, and particularly how these issues can impact adulthood. In the Dunn Lab, she hopes to learn more about how childhood adversity affects mental health outcomes. Janine joins the Dunn Lab as a Clinical Research Coordinator. She graduated from Union College in 2016 with a B.S. in Psychology and a minor in Mathematics. Prior to joining the Dunn Lab, Janine worked as a practice development assistant at Ropes & Gray where she supported the life sciences practice group. Her research interests include childhood adversity and resilience. In the Dunn Lab, she hopes to help identify who is more susceptible to depression following adversity and why. Katie graduated from Brown University in 2012 with a B.A. in Gender & Sexuality Studies, and received an M.A. in Psychology from Brandeis University in 2017. Her research at Brandeis focused on the developmental sequelae of childhood abuse in a sample of male juveniles who had sexually offended. As a Clinical Research Coordinator at the Dunn Lab, Katie hopes to continue to explore the extent to which early life adversity and genetic variation predict subsequent psychopathology. Olivia is a Junior at Northeastern University studying Health Sciences and has minors in both Global Health and Ethics. Prior to joining the Dunn Lab, she has completed various internships at Brigham and Women’s/Dana Farber Cancer Center, the South End Community Health Center and The Interdisciplinary Affective Science Laboratory. As a research assistant in the Dunn Lab, she is looking forward to learning more about the biological pathways of depression and how early stressors can impact mental health later in life. Yiwen graduated from Smith College in 2016 with a Bachelor of Arts degree in Psychology and Statistical & Data Sciences. She also received a Master of Science degree in Biostatistics from Harvard T.H. Chan School of Public Health in 2017. Her past research experience includes applying integrative approaches for causal mediation analyses as well as examining latent trauma subtypes on the population level. Joining the Dunn Lab as a data analyst, Yiwen is excited to apply her statistical skills and explore the underlying biological mechanisms (especially epigenetic changes) that connect early life adversity to psychopathology. Marini, S., Davis, K.A., Soare, T.W., Suderman, M.J., Simpkin, A.J., Smith, A.D.A.C., Wolf, E.J., Relton, C.L., & Dunn, E.C. Predicting cellular aging following exposure to adversity: Does accumulation, recency, or developmental timing of exposure matter? bioRxiv dio: https://doi.org/10.1101/355743. Dunn, E.C., Soare, T.W., Simpkin, A.J., Suderman, M.J., Zhu, Y., Klengel, T., Smith, A.D.A.C., Ressler, K. & Relton, C.L. Sensitive periods for the effect of childhood adversity on DNA methylation: Results from a prospective, longitudinal study. Biological Psychiatry. Supplemental Materials. Dunn, E.C., Soare, T.W., Raffeld, M.R., Busso, D.S., Crawford, Davis, K.A., K.M., Fisher, V.A., Slopen, N., Smith, A.D.A.C., Tiemeier, H., & Susser, E.S. (e-pub). What life course theoretical models best explain the relationship between exposure to childhood adversity and psychopathology symptoms: recency, accumulation, or sensitive periods? Psychological Medicine, 48(15), 2562-2572. PMID: 29478418. Dunn, E.C., Nishimi, K., Gomez, S.H., Lott, A.P., & Bradley, B. (2018). Developmental timing of trauma exposure and emotion dysregulation in adulthood: Are there sensitive periods when trauma is most harmful? Journal of Affective Disorders, 227. 869-877. PMID: 29254068. PMCID: PMC5805641. Dunn, E.C., Sofer, T., Wang, M., Soare, T.S., Gallo, L.C., Gogarten, S.M., Kerr, K. F., Chen, C., Stein, M.B., Ursano, R.J., Guo, X., Jia, Y., Yao, J., Rotter, J.I., Argos, M., Cai, J., Perreira, K., Wassertheil-Smoller, S., & Smoller, J.W. (2018) Genome-wide association study (GWAS) of depressive symptoms in the Hispanic Community Health Study/Study of Latinos (HCHS/SOL). Journal of Psychiatric Research, 99. 167-176. PMID: 29505938. Milliren, C.E., Evans, C.R., Richmond, T.K., & Dunn, E.C. (2018). Does an uneven sample size distribution across settings matter in cross-classified multilevel modeling? Results of a simulation study. Health & Place, 52. 121-126. PMCID: PMC6171360 PMID: 29885555. Vaughn-Coaxum, R., Wang, Y., Kiely, J., Weisz, J.R., & Dunn, E.C. (2018). Associations between trauma type, timing, and accumulation on current coping behaviors in adolescents: Results from a large, population-based sample. Journal of Youth and Adolescence, 47(4). 842-858. PMCID: in progress PMID: 28555292. Peyrot, W.J., Van der Auwera, A., Milaneschi, Y., Dolan, C.V., Madden, P.A.F., Sullivan, P.F., Strohmaier, J., Ripke, S., Rietschel, M., Nivard, M.G., Mullins, N., Montgomery, G.W., Henders, A.K., Heat, A.C., Fisher, H.L., Dunn, E.C., Byrne, E.M., Air, T.A., Major Depressive Disorder Working Group of the Psychiatric Genomics Consortium, Baune, B.T., Breen, G., Levinson, D.F., Lewis, C.M., Martin, N.G., Elliot, N., Boomsma, D.I., Grabe, H.J., Wray, N.R., Penninx, B.W. (e-pub). Does childhood trauma moderate polygenic risk for depression? A meta-analysis of 5,765 subjects from the Psychiatric Genomics Consortium. Biological Psychiatry. PMID: 29129318 PMCID: PMC5862738. Wassertheil-Smoller, S., Qi, Q., Tushar, D., Mitchell, B., Jackson, R., Liu, S., Park, K., Salinas, J., Dunn, E.C., Leira, E., Smoller, J. (2018). Polygenic risk for depression increases risk of ischemic stroke: from the Stroke Genetics Network (SiGN) study. Stroke , 49(3): 543-548. PMID: 29438084. Van der Auwera, S., Peyrot, W.J., Milaneshi, Y., Hertel, J., Baune, B.T., Breen, G., Byrne, E.M., Dunn, E.C., Fisher, H.L., Homuth, G., Levinson, D.F., Lewis, C.M., Martin, N., Millis, N., Mullins, N., Nauck, M., Pistis, G., Preisig, M., Rietschel, M., Ripke, S., Sullivan, P.F., Teumer, A., Volzke, H., Major Depressive Disorder Working Group of the Psychiatric Genomics Consortium, Boomsma, D.I., Wray, N.R., Penninx, B.W.J.H., & Grabe, H.J. (2018). Genome-wide gene-environment interaction in depression: A systematic evaluation of candidate genes. American Journal of Medical Genetics: Neuropsychiatric Genetics, 77(1). 40-49. PMID: 29159863 PMCID: PMC5726923. Dunn, E.C., Wang, Y., Tse, J., McLaughlin, K.A., Fitzmaurice, G., Gilman, S.E., & Susser, E.S. (2017). Sensitive periods for the effect of childhood interpersonal violence on psychiatric disorder onset among adolescents. British Journal of Psychiatry, 211(6): 365–372. PMID: 29097401. PMCID: PMC5709674. Dunn, E.C., Masyn, K.E., Jones, S.M., Subramanian, S.V., & Koenen, K.C. (2015). Measuring psychosocial climates using individual responses: An application of multilevel factor analysis to examining students in schools. Prevention Science. PMCID: PMC4444407. PMID: 25421872. Dunn, E.C., Masyn, K.E., Johnston, W.R., & Subramanian, S.V. (2015). Modeling contextual effects using individual-level data and without aggregation: An illustration of multilevel factor analysis (MLFA) with collective efficacy. Population Health Metrics. PMCID: PMC4445268. PMID: 26019691. Dunn, E.C., Brown, R.C., Dai, Y., Rosand, J., Nugent, N.R., Amstadter, A.B., & Smoller, J.W. (2015). Genetic determinants of depression: Recent findings and future directions. Harvard Review of Psychiatry, 23 (1), 1-18. PMCID: PMC4309382. PMID: 25563565. Dunn, E.C., Milliren, C.E., Evans, C.R., Subramanian, S.V., & Richmond, T.K. (2015). Disentangling the relative influence of schools and neighborhoods on adolescents' risk for depressive symptoms. American Journal of Public Health, 105 (4), 732-40. PMCID: PMC4358201. PMID: 25713969. Dunn, E.C., Richmond, T.K., Milliren, C.E., & Subramanian, S.V. (2015). Using cross-classified multilevel models to disentangle school and neighborhood effects: An example focusing on smoking behaviors among adolescents in the United States. Health & Place, 31, 224-232. PMCID: PMC4443928. PMID: 25579227. Gilman, S.E., Ni, M.Y., Dunn, E.C., Breslau, J., McLaughlin, K.A., Smoller, J.W., & Perlis, R. (2015). Contributions of the social environment to first-onset and recurrent mania. Molecular Psychiatry, 20, 329-336. PMCID: PMC4206672. PMID: 24751965. Murphy, J.M., Guzman, J., McCarthy, A., Squicciarini, A.M., George, M., Canenguez, K., Dunn, E.C., Baer, L., Simonsohn, A., Smoller, J.W., & Jellinek, M. (2015). Mental health predicts better academic outcomes: A longitudinal study of elementary school students in Chile. Child Psychiatry and Human Development, 46 (2), 245-256. PMCID: PMC4443903. PMID: 24771270. Dunn, E.C., Masyn, K.E., Yudron, M., Jones, S.M., & Subramanian, S.V. (2014). Translating multilevel theory into multilevel research: Challenges and opportunities for understanding the social determinants of psychiatric disorders. Social Psychiatry and Psychiatric Epidemiology, 49, 859–872. PMCID: PMC4067412. PMID: 24469555. Dunn, E.C., Solovieff, N., Lowe, S. R., Gallagher, P. J., Chaponis, J., Rosand, J., Koenen, K.C., Waters, M., Rhodes, J., & Smoller, J. W. (2014). Interaction between genetic variants and exposure to Hurricane Katrina on post-traumatic stress and post-traumatic growth: A prospective analysis of low income adults. Journal of Affective Disorders, 152-154, 243-249. PMCID: PMC3873605. PMID: 24161451. Pearson-Fuhrhop, K.M., Dunn, E.C., Mortero, S., Devan, W.J., Falcone, G.J., Holmes, A.J., Hollinshead, M.O., Roffman, J.L., Smoller, J.W., Rosand, J., & Cramer, S.C. (2014). Dopamine gene score predicts depressive symptoms in healthy adults and adults with depression. Plos One, 9 (5), e93772. PMCID: PMC4023941. PMID: 24834916. Dunn, E.C., Winning, A., & Subramanian, S.V. (2014). Does poor health predict moving, move quality, and desire to move? : A study examining neighborhood selection in US adolescents and adults. Health & Place, 30, 154-164. PMCID: PMC4467831. PMID: 25282124. Green, J.G., Johnson, R.M., Dunn, E.C., Lindsey, M.A., Xuan, Z., & Zaslavsky, A.M. (2014). Mental health service use among high school students exposed to interpersonal violence. Journal of School Health, 84 (2), 141-149. PMCID: PMC4126199. PMID: 25099429. Dunn, E.C., McLaughlin, K.A., Slopen, N., Rosand, J., & Smoller, J.W. (2013). Developmental timing of child maltreatment and symptoms of depression and suicidal ideation in young adulthood: Results from the National Longitudinal Study of Adolescent Health. Depression and Anxiety, 30, 955-964. PMCID: PMC3873604. PMID: 23592532. Slopen, N., McLaughlin, K.A., Dunn, E.C., & Koenen, K.C. (2013). Childhood adversity and cell-mediated immunity in young adulthood: Does type and timing matter? Brain, Behavior, and Immunity, 28, 63-71. PMCID: PMC4180230. PMID: 23108062. Dunn, E.C., Gilman, S., Slopen, N.B., Willett, J.B. & Molnar, B.E. (2012). The impact of exposure to interpersonal violence on gender differences in adolescent-onset major depression. Depression and Anxiety, 29, 392-399. PMCID: PMC4136968. PMID: 22447513. Tendulkar, S.A, Buka, S., Dunn, E.C., Subramanian, S.V., & Koenen, K.C. (2010). A multi-level investigation of neighborhood effects on parental warmth. Journal of Community Psychology, 38 (5), 557-573. Azrael, D., Johnson, R.M., Molnar, B.E., Vriniotis, M., Dunn, E.C., Duncan, D.T., & Hemenway, D. (2009). Creating a youth violence data system for Boston, Massachusetts. Australian and New Zealand Journal of Criminology, 42 (3), 406-421. Ellison, M.L., & Dunn, E.C. (2006). Empowering and demedicalized case management practices: Perspectives of mental health consumer leaders and professionals. Journal of Social Work in Disability and Rehabilitation, 5 (2), 1-17. Webster, D., & Dunn, E.C. (2005). Feminist perspectives on trauma. Women and Therapy, 28 (3/4), 111-142. The Psychiatric and Neurodevelopmental Genetics Unit (PNGU) in the MGH Center for Genomic Medicine (CGM) is seeking an enthusiastic, self-motivated problem-solver for an immediate opening for a Staff Assistant II. The staff assistant, under the general supervision of the Administrative Manager, will provide administrative support to Dr. Erin Dunn and her lab. Responsibilities of this position will encompass the management of Dr. Dunn’s calendar, coordination of Dr. Dunn’s travel, organization of conference presentations and research seminars, maintenance of administrative and lab documents, and management of reimbursements and lab resources. Candidates must have expert knowledge of office information systems, discretion, and judgment to organize priorities, complete tasks, and handle confidential information. Working under the direction of Dr. Erin Dunn, the Data Analyst will contribute to an innovative project funded by the NIMH that focuses on integrating longitudinal data with insights from genetics, epigenetics, and human development to examine the developmental causes and consequences of DNA methylation (DNAm) on risk for depression in adolescence and young adulthood. Responsibilities will involve working with genetic and phenotypic data from a 20-year longitudinal study to perform epigenome-wide association analyses (EWAS) and implement several methods, including causal mediation analysis, Mendelian Randomization, and machine learning approaches. Ideal applicants will have a strong research background with 1-2 years of experience in the field of epidemiology, epigenetics or genetics and knowledge of R, Unix, and related data analysis pipelines. 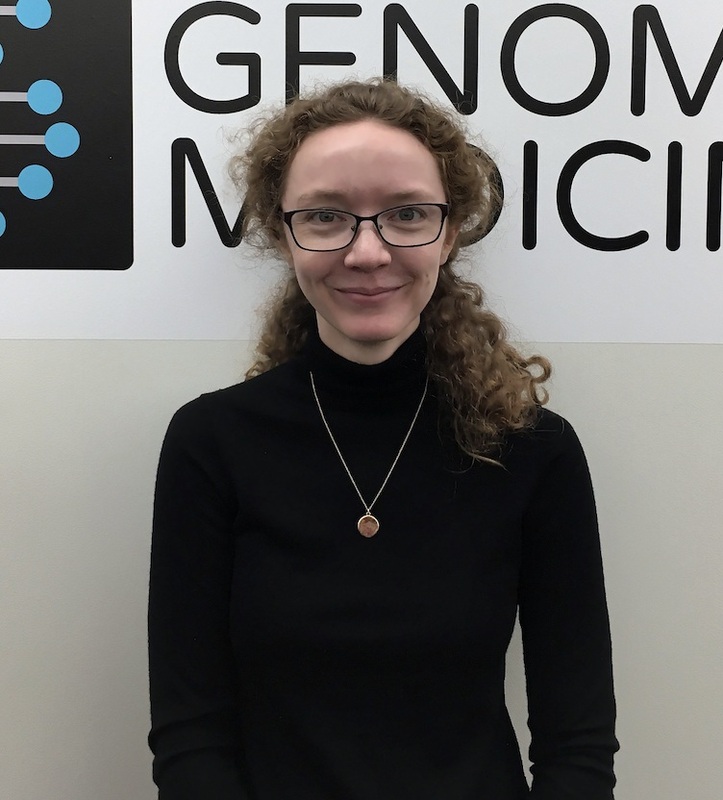 The Psychiatric and Neurodevelopmental Genetics Unit (PNGU) in the MGH Center for Genomic Medicine (CGM) is seeking a Program/Lab Manager to manage and oversee clinical and translational research projects as well as administrative and research tasks for the research laboratory of Dr. Erin Dunn. The Program/Lab Manager will be responsible for day-to-day supervision and training of coordinators and other staff involved in the conduct of clinical trials; management of all regulatory activities associated with active and pending clinical trials, including compliance with sponsor guidelines, audits, sponsor progress reports, IRB submissions, and management of grant applications and administration of awarded funds. The ideal candidate must exhibit a high level of expertise and comfort in managing and facilitating objectives within a complex cross-functional project team that spans MGH clinics/departments and external sites. The position will also require regular airline travel (up to once monthly) to Florida. We are seeking a Research Coordinator II to assist with clinical and translational research projects, as well as perform a variety of administrative tasks that support the day-to-day operations of the lab. Responsibilities will include: conducting literature searches, drafting IRB-related documents, participating in data management and data analysis tasks, helping with grant submissions, assisting with peer-reviewed journal submissions, developing materials for conference presentations, and performing other administrative support duties as required. Candidates must have a BA/BS, 1-2 years of experience, good quantitative skills, an ability to work well in a collaborative environment, fluency with all modes of communication in English, and strong writing skills. The Psychiatric and Neurodevelopmental Genetics Unit in the MGH Center for Genomic Medicine (CGM) is seeking highly motivated and enthusiastic candidates with expertise/interests in epigenetics for a post-doc opening to begin summer 2019. Working under the mentorship of Dr. Erin Dunn, the post-doc’s responsibilities will involve working with genetic and phenotypic data from a 20-year longitudinal study to perform epigenome-wide association analyses (EWAS) and implement several methods, including: causal mediation analyses, Mendelian Randomization, and machine learning approaches. The post-doc will function as a high-level contributor, coordinator, and team member in this work, with numerous opportunities for interactions with investigators from across the world. To apply, please send a single email containing your CV and a brief statement describing your qualifications for this position to Dr. Erin Dunn at edunn2@mgh.harvard.edu. The Psychiatric and Neurodevelopmental Genetics Unit (PNGU) in the MGH Center for Genomic Medicine (CGM) is seeking a highly motivated and enthusiastic master’s or doctoral-level part-time data analyst with expertise/interest in epigenetics to start immediately. Working with a multidisciplinary team under the direction of Dr. Erin C. Dunn at MGH, the data analyst will be responsible for conducting data management and data analysis tasks for a study exploring the epigenetic pathways—and particularly DNA methylation (DNAm) changes—through which exposure to stress becomes biologically embedded during sensitive periods in development. Candidates with backgrounds in multiple disciplines, including but not limited to epidemiology, genetics, and epigenetics are encouraged to apply. Ideal applicants would have training in statistics or biostatistics and experience with R or SAS. Experience working with large-scale epidemiological datasets is a plus, but not required. This is a highly unique opportunity for someone seeking an interdisciplinary experience to work with epigenetic, genetic, and rich phenotypic data while receiving outstanding team-based mentorship. The position will begin immediately and could be extended based on interest. Opportunities for co-authorship of papers are available. To apply, please send a single email containing your CV and a brief statement describing your qualifications for this position to Katie Davis at kadavis@mgh.harvard.edu. We are always open to inquiries from individuals wishing to join the lab. In general, we are looking for people who have strong statistical skills and capacity to work with large epidemiological datasets. We are also open to working with those who have a good quantitative background, are highly motivated, and able to quickly learn new statistical techniques. Most importantly, we are looking for team players who are curious, interested in interdisciplinary approaches, and deeply passionate about finding ways to prevent mental illness. To apply, please send a single email containing your CV and a brief statement describing your qualifications to Katie Davis at kadavis@mgh.harvard.edu.